Ernesto "Che" Guevara was passionate about bringing freedom and equality to poor and oppressed people throughout the world. Che was born in Argentina and gained fame for his role in the Cuban revolution alongside Fidel Castro. But his commitment was not bound by any country or nationality. Che was willing to give his life for the cause of freedom anywhere in the world. But there was a dark side to the guerilla warrior. Che had no problem using force to attain his idea of the perfect society. 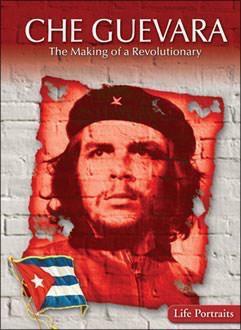 Never compromising his beliefs, Che became an iconic figure, arguably the best-known revolutionary in history.